Can an employer go back and run checks on existing employees? Question: In order to comply with our Customs-Trade Partnership Against Terrorism (C-TPAT) membership, we are supposed to conduct criminal record checks for all employees responsible for shipping goods to and from the United States. 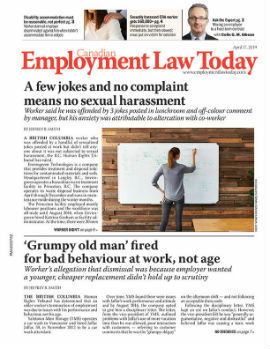 When is it permissable to conduct “mid-employment” criminal record checks and not violate Canadian privacy legislation? Answer: The federal privacy legislation (PIPEDA) applies to the collection, use, retention and disclosure of “personal information” about individuals by federally regulated employers. Ontario hasn’t enacted privacy legislation of general application, and PIPEDA does not extend to provincially regulated private sector employers. As a result, for provincially regulated private sector employers in Ontario, employees’ privacy interests are protected by a mix of common law and contractual provisions.